KP Ten-Frame Tiles is a system of ten-frame platforms and tiles through which students physically and visually experience the structure and applications of the base-10 number system. Invented at KP Mathematics, KP Ten-Frame Tiles are the latest advance in base-ten manipulatives. As students group the tiles into increasingly larger groups of ten (ten ones become one group-of-ten, ten tens become one group-of-one-hundred, etc. 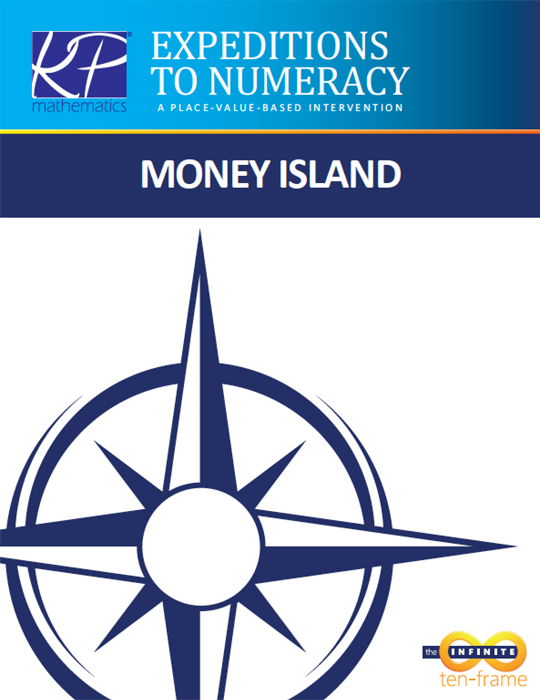 ), they are able to explore the full range of base-ten concepts — from counting to 10 to decimal concepts and operations. 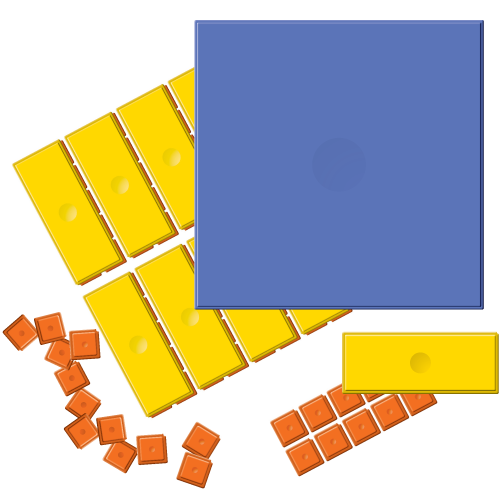 KP Ten-Frame Tiles bring physical representation to many math concepts, including the properties of operations, relationships among operations, and applications of the base-ten number system. As students continue to use KP Ten-Frame Tiles to represent numbers and operations, they develop a deep, connected understanding of the base-ten system as they build reasoning skills, problem-solving skills, and computational accuracy and fluency. Because the pieces are “groupable” and build tens of tens of tens, no trading, as with base-ten blocks, is necessary. Students put components together and take them apart in groups of 10 at different magnitudes. Students use five and ten as benchmarks for gauging quantity. Formations on the ten-frame become visual memories associated with number name and numeral. Students develop a sense of “ten-ness,” an awareness that builds mental-math and estimation skills. As students build tiles-of-10 with orange tiles and tiles-of-100 with tiles-of-10, they discover how the base-ten system works. The tile-of-10 has two identities: it can be simultaneously viewed as 1 ten and 10 ones. The tile-of-100 has three identities: it can be simultaneously viewed as 1 hundred, 10 tens, and 100 ones. Since each tile contains its grouping-by-10s history, students begin counting with a single orange tile and still have that original orange tile in their tile-of-1000. Students build computational fluency through direct connections between their number work with tiles and written methods. Students connect number and operation concepts to each other, developing reasoning skills.